This past week I’ve been working on a bucket list of places to eat in Salt Lake City that may or may not include 100 places to try if you’re living in the area (coming soon eeeeek!). It’s a compilation of places every Utah foodie needs to try if they’re going to conquer all the best bites Salt Lake City has to offer. Lots of oldies, some a few years established, and a lots of new & eateries (we aren’t quite sure how we ever lived without them!). Point of the story- there’s an incredible amount of new restaurants in Salt Lake City and Manoli’s on 9th is one of them. As my husband surprised me with a date night here not too long ago, we played the “guess where we are eating” game. I couldn’t come close to guessing Manoli’s because I hadn’t even heard of it! It’s definitely off the beaten path so be sure not to spill this well kept secret to too many people. Everything from the decor to the service to the food was excellent. 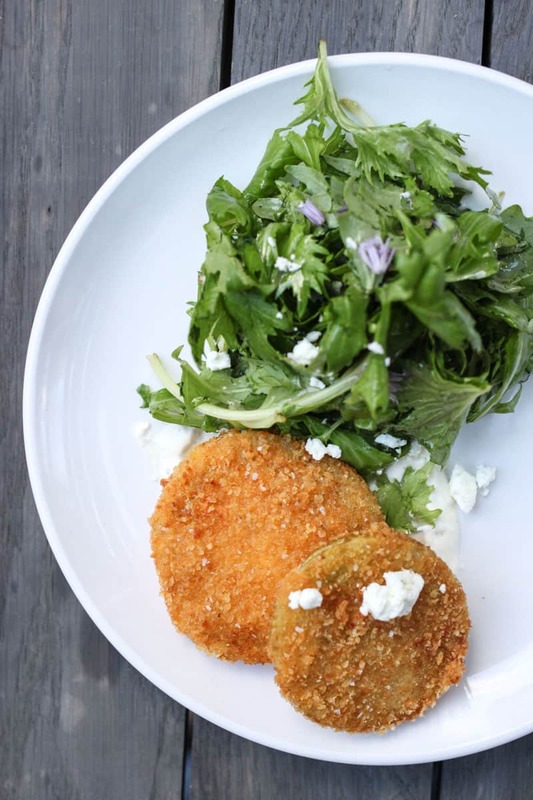 Our waitress recommended we start with a special appetizer to kick off our evening- fried green tomatoes. Because if you’ve been following along with Female Foodie for long enough, you know that I jump at any chance for a bite of juicy ripe tomatoes (especially when they’re breaded and fried to golden perfection). Sorry to say that this item is not on their regular menu, but I’ll keep my fingers crossed that it runs again next time you pop in. 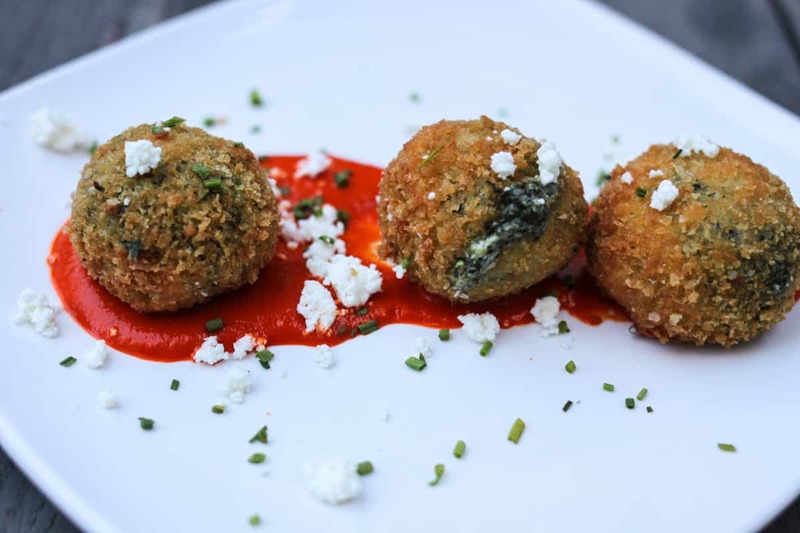 Croquettes are always a favorite while dining in a small plate setting and when our server strongly recommended the spanakopita croquettes I knew we didn’t have a choice. The combination of spinach, feta, and kefalograviera (hard Greek cheese) served with a warm piquillo pepper sauce was unbeatable. 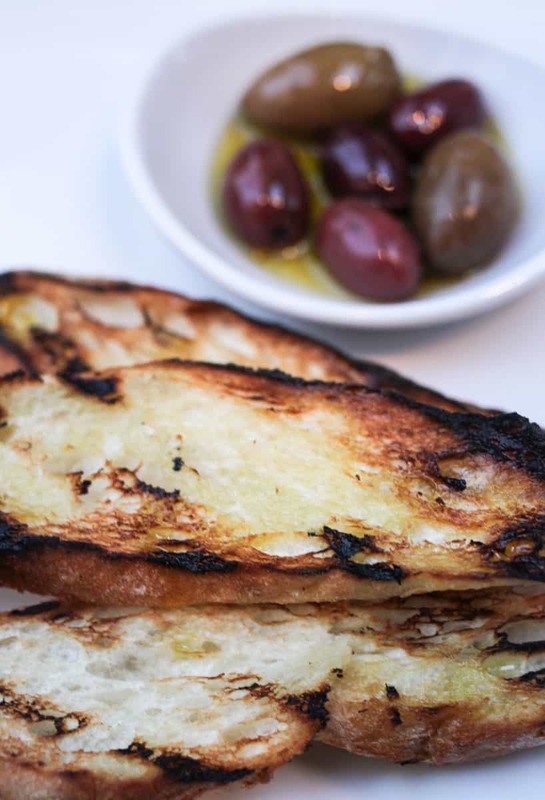 We also enjoyed the psomi (grilled bread, olives, olive oil) alongside our two appetizers. 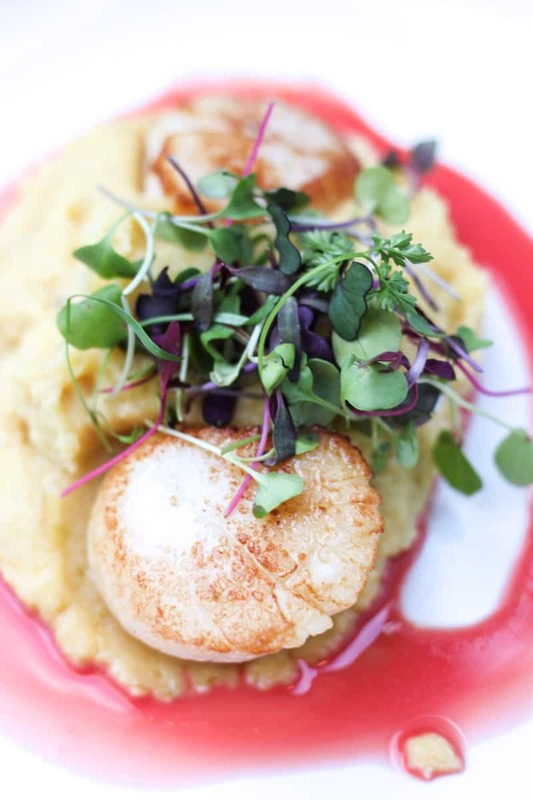 For the next course, we shared the Htenia- a small plate consisting of seared scallops, yellow split pea puree, micro greens, and a citrus-ouzo vinaigrette. 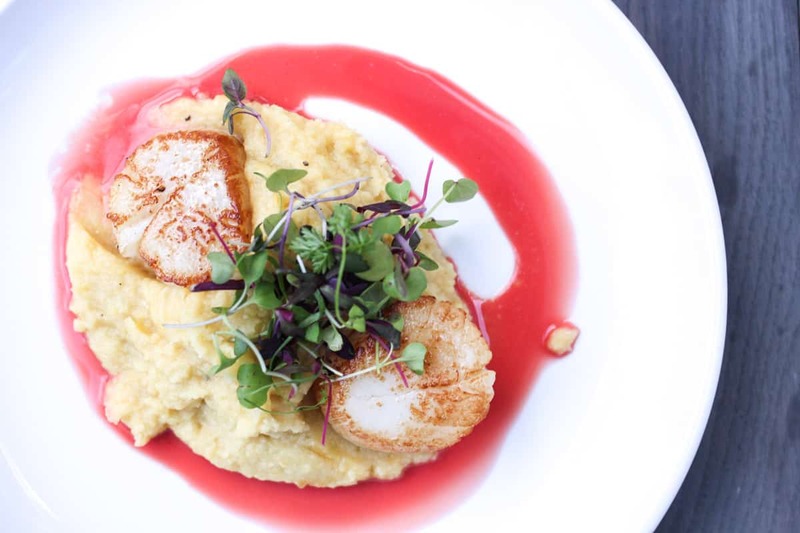 The scallops literally melted in our mouth and the split pea puree was a great pair to the rich and colorful dish. 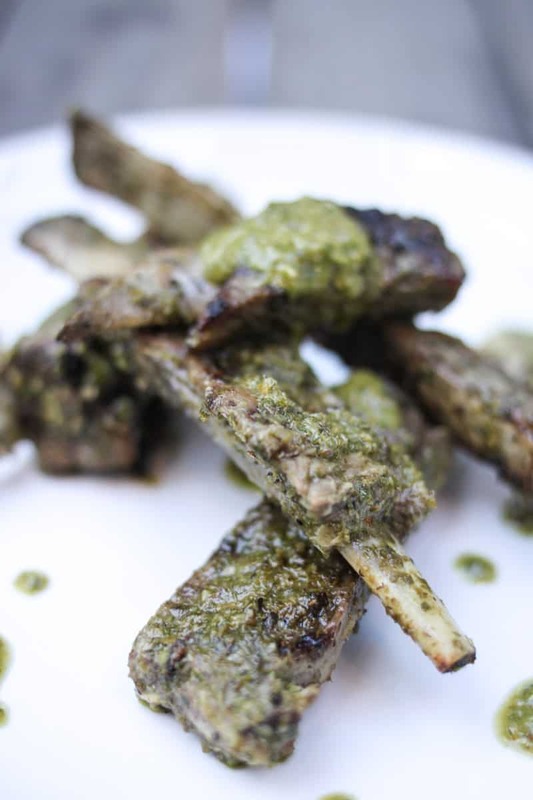 Our next small plate was the Paidakia- grilled lamb riblets served with a caper chimichurri and sea salt. The flavor of this dish is truly unbeatable and we were holding ourselves back from licking our fingers and plate once we had taken our last bites. And to finish, a delicious, moist lamb burger. 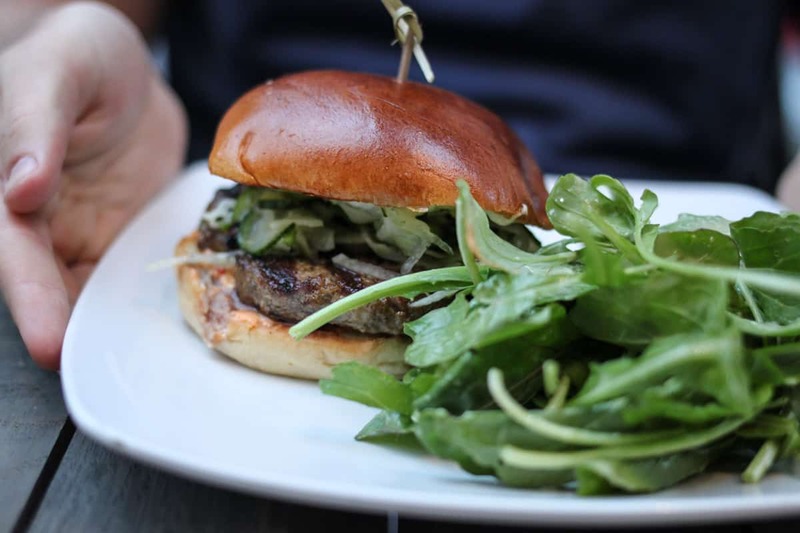 Manoli’s serves their lamb and beef patty with red pepper feta spread, garlic aioli, and fennel slaw on an artisan bun. It makes for quite the flavor explosion and, similar to all other menu items, is presented beautifully. 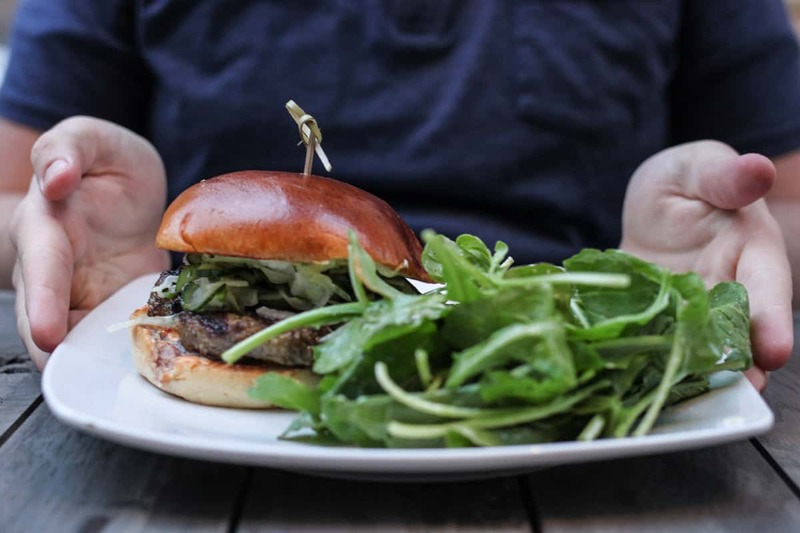 A fantastic neighborhood restaurant that prioritizes quality, freshness, and beauty with every dish. Manoli’s is the perfect restaurant for celebrating special occasions, enjoying a couple of small plates for a light dinner out, or for brunch on the weekend. Always looking for new, off the beaten path, places to try in Salt Lake. Can’t wait to try this one. Love your blog!